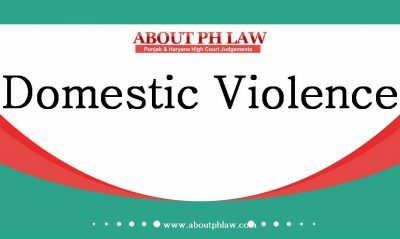 Domestic Violence—Making certain allegations against the petitioner by itself would not amount to Domestic Violence in the absence of any material to show that they shared the house hold. Comments Off on Domestic Violence—Making certain allegations against the petitioner by itself would not amount to Domestic Violence in the absence of any material to show that they shared the house hold. Protection of Women from Domestic Violence Act, 2005, S.12–Maintenance– Denied to wife–in complaint wife admitted that she was working as teacher but has not disclosed any other information relating to her employment -Property had been rented out; the possession of the same cannot be handed over-Amount for residence should be allowed-The order passed by Magistrate can be challenged in appeal. The order passed by the Sessions Court is revisable under Section 397 read with Section 401 Cr.P.C. Comments Off on Protection of Women from Domestic Violence Act, 2005, S.12–Maintenance– Denied to wife–in complaint wife admitted that she was working as teacher but has not disclosed any other information relating to her employment -Property had been rented out; the possession of the same cannot be handed over-Amount for residence should be allowed-The order passed by Magistrate can be challenged in appeal. The order passed by the Sessions Court is revisable under Section 397 read with Section 401 Cr.P.C. Domestic Violence—Distant Relatives—It has become an unfortunate trend to implead even the distant relatives—To this extent at least, the law designed for protection of women is being misused for ulterior motives. Comments Off on Domestic Violence—Distant Relatives—It has become an unfortunate trend to implead even the distant relatives—To this extent at least, the law designed for protection of women is being misused for ulterior motives. 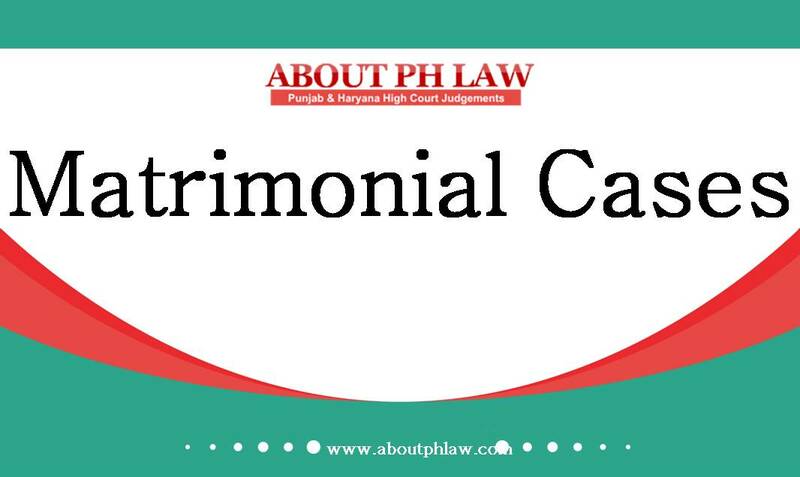 Domestic Violence—Daughter in law cannot claim right to live in the house of the parents in law against their wishes. Comments Off on Domestic Violence—Daughter in law cannot claim right to live in the house of the parents in law against their wishes. Domestic Violence—Shared household—Wife is entitled to stay in house of her in laws even when her husband has left the house. Comments Off on Domestic Violence—Shared household—Wife is entitled to stay in house of her in laws even when her husband has left the house. Domestic Violence—Amendment of petition /complaint—Court dealing with petition/complaint filed under Domestic Violence Act has power to allow amendment to petitioner/complaint filed; by entertaining petition under O.6 R.17CPC. Amendment of Criminal complaint—Easily curable legal infirmity could be cured by means of a formal application for amendment. Comments Off on Domestic Violence—Amendment of petition /complaint—Court dealing with petition/complaint filed under Domestic Violence Act has power to allow amendment to petitioner/complaint filed; by entertaining petition under O.6 R.17CPC. Amendment of Criminal complaint—Easily curable legal infirmity could be cured by means of a formal application for amendment.